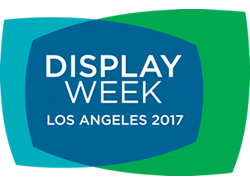 Japan Display Inc. (JDI) will be participating in The Society of Information Display (SID) DISPLAY WEEK 2017, International Symposium, Seminar, and Exhibition. The event will begin on Sunday, May 21, 2017, through Friday, May 26, 2017 at the Los Angeles Convention Center, in Los Angeles, California, USA. JDI will be delivering presentations at the symposium and exhibiting in booth # 917. 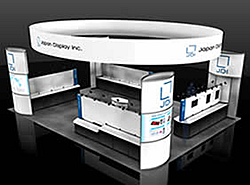 JDI's booth will feature a series of FULL ACTIVETM and flexible displays, enabled by low temperature poly-silicon (LTPS) technology, a core JDI technology. Other new technology prototypes -- High-Transmittance Color Transparent Display and an aerial display -- will be shown, too. Displays for automotive, industrial, medical, PC, and smartphone applications will be exhibited as well. JDI will be delivering four presentations at the Symposium, which will bring together researchers and engineers involved with displays from around the world. January 25, 2017Development of "FULL ACTIVETM FLEX"